Tartelette: Meyer Lemon Creams, Meyer Lemon Macarons & a Giveaway! We recently had to go gluten free and I am intrigued with the idea of making macarons! Sounds like a great little book! Beautiful macarons! Oh how I would love to win the giveaway. I was just telling my housemates that I want to make macarons! I hope I win. I must admit, I've been a little timid to try making macarons. Okay, perhaps terrified is a better term. But the more I see recipes for them the more I am inspired to give it a try. Thanks for sharing your recipe and enjoy the well deserved R & R for as long as you have it! Yay! Another Macaron recipe...I've become so obsessed with them since i first saw them on here. How exciting! I have a small Meyer lemon tree with a few lemons that are about a week away from being fully ripe. I've been looking for recipes that would showcase their flavor and these two will be the first ones I try. Thank you for the recipes and for the giveaway! Awesome giveaway! I just made a cookie recipe with Meyer lemons. The lemons smelt amazing. That little Meyer lemon staring at us from the second to last photo is perfect. Symmetrical almost, no seeds, no blemishes, and that deep yellow color! Wish they were more readily available here. Mmm. Beautiful photos that make me want to drop everything and get in the kitchen. Always inspiring. These look delectable. I have caught the lemon bug as well - we whipped up a batch of lemon cheesecake bars last week. It was a great change from our line-up of heavier winter desserts. Can't wait to usher in spring your recipes! Your photos are so beautiful and your time away sounds sweet. 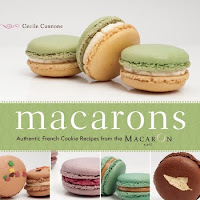 I'd love to have a macaron cookbook! Every time I see your pictures of these small bites, my mouth waters! Love your blog, hope I win! Someday I'll make macarons. I like the idea of lemon macarons. Wow, these look amazing! I'm a lemon-lover too and my mouth is just watering looking at them. Thanks for the recipes and for the contest too! WOW! I can't believe I'm the first here. I would love a copy of this book. I'm always trying out new macaron recipes. 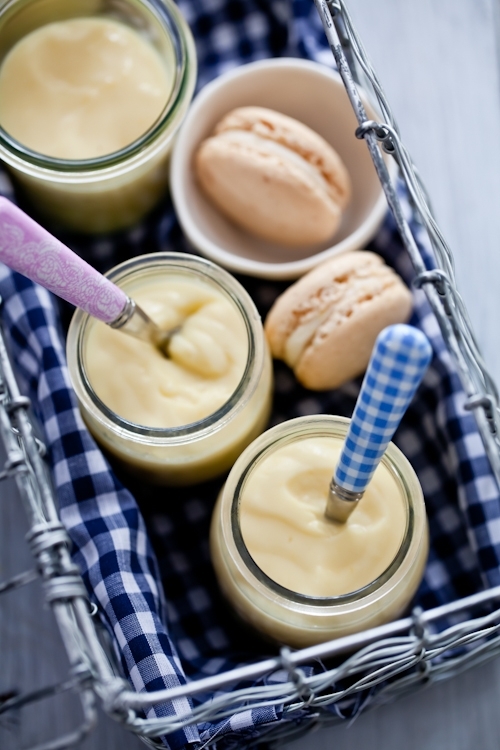 I will definitely be trying this one out for the Meyer Lemon Macarons and Cream. Thank you for it! I love the Meyer Lemons. I just wish it was a bit easier to squeeze them. Beautiful! I love citrus dessert and this will be great! Macaroons and lemons! Two of my favourite things. I'd love to win that book! Crossing my fingers! I absolutely love those meyer lemon cream macaroons. can't wait to make them!!! Thank you for a chance to win this giveaway! I've a few attempts on Macaron making....some very successful and some, not as much. I would love to get this book for more tips to improve my skills! :) Guess I'm as crazy about Meyer Lemons as you are. I've made Meyer Lemons Macarons with Limoncello Buttercream and they were so addictive. Can't wait to try them with the Meyer Lemon Creams. That sounds just as delicious! Thanks for the lemon recipes. I have 14 Meyer Lemons on my counter. I might be weird. I might love lemons. They look amazing! Going to try and make them this week for my co-workers! Not only a fantastic giveaway, but these macarons with the cream... well, I'm ready to get chowing down! In all seriousness, I need this cookbook... terribly. Because here's the thing, I have never made macarons before and I'm starting to feel a little ashamed of myself. We'll have to fix that, won't we? Oh my god, I just love your foodpics! Especially the first one, it reminds me of a blissful countryside day. I've always wanted to make some macarons myself, so perhaps next week I'll go for it with your recipe. I love your gluten-free blog! I have celiac and I appreciate all of the beautiful recipes. I just gold ahold of some Meyer Lemons this season and would love to make the cream. Maybe dare to make the macarons as well. Beautiful pictures. I can't wait to try the recipes. I would love to get a copy of the book... I made macarons last week... Italian meringue...it was a disaster... It rised but lopsided just like a car with a puncture. Baked at 150C fanforced oven. :( what went wrong? YUM! These look great. I have actually never tried a meyer lemon, but have been meaning to. Now I have an excuse to try them using the macaron recipe! Two attempts of making macarons and two failures. Hopefully my next batch will work! What are pink lemons? These look amazing- I tried to make macarons once and it ended as a disaster. The lemon cream here looks a little like something we used to call "lemon butter". I can't wait to try these recipes! Can't wait to make lemon macarons! I discovered some days ago your blog (and your Twitter account ;P ) and I love it! Your photos and recipes are awesome. Congrats! Yum! Lemon cream is delicious! I've tried macarons before, but they were not exactly a success!These lemon ones look fantastic, and I'd love a fun book to give me inspiration to try again! These look amazing. I have a whole tree of meyer lemons that are just calling out to be made into macarons. Oh, that Meyer lemon cream looks heavenly! The photos are gorgeous and the color is so summery. I've been wanting to learn how to make macarons for a long time so I'll have to take a look at that cookbook. I both intrigued and terrified at the thought of making macarons, but you make it sound so easy!! I would love to win that cookbook to hep me get over my imaginary macaron roadblock! OK, feeling lucky today! I hope I win! I would love this book! Thanks for the great recipes and the fun giveaway, always a pleasure to read about your latest adventures. I've never come by them in Australia, though I've been desperately looking given all the meyer lemon related recipes I've seen lately... lucky you, to be sent a bunch! I so love lemons, all their lemony goodness makes me smile. I hope to make this lemon creams very soon. The cream looks so delicate and light, kind of like a little ballerina in mid-air poised in all her beauty! I love love the color! Would cornflour work instead of cornstarch? I have cornflour but not cornstarch and I have an abundance of lemons at the moment, so was wondering! I've looked a some macaron recipes but haven't taken them on. Now that I've seen your lemon and almond combo, I'm ready to try them. Love the looks of these macarons! My mom loves Meyer lemons too, and she has been working on her macaron skills. She will be so thrilled to hear about this! I've always dreamed about winning a giveaway on a blog. Not to mention, one for a macaroon cookbook! I would LOVE to go to a photography workshop with you and Tami! We used to have a lemon tree in our backyard. The lemon creams are making me drool! My mom loves meyer lemons and she has been working on her macaron skills-she will be thrilled to hear about this! Oh also, lately, anytime I have tried searching on the site, I've been told there is a malfunction. Is that a general issue or is that just me? Definitely want to try those macarons! I Love meyer lemon! Great Giveaway. I have yet to conquer my fear of trying to make macarons. I have dried out my egg whites countless times but chicken out at the last minute. Yours are beautiful. I too am a lemon lover, these would be a perfect first try but something inside tells me I'm still not ready. I think I need a little more confidence before I tackle them. I have researched as much as I possibly can and I am armed with a long list of tips, hopefully one day I will attempt. I love the photo with the lemons! My husband and I have been teaming up to make the perfect macarons! 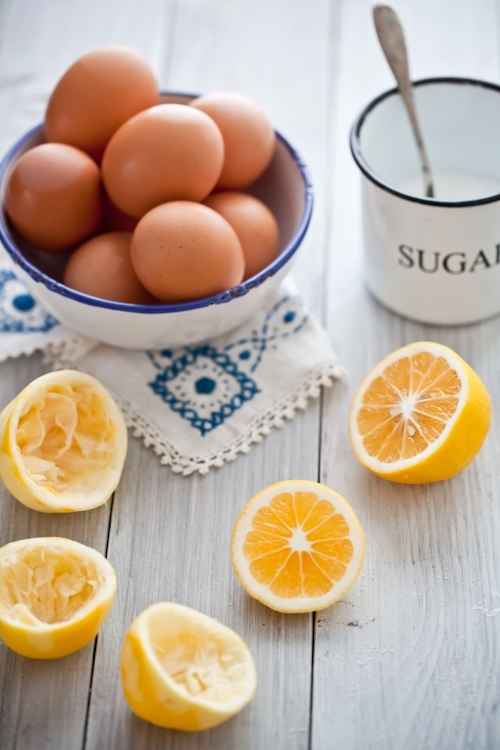 Love this post - must try meyer lemon. Perfect timing! I think I may have finally been able to locate some Meyer lemons here so I am really looking forward to trying these. Love your pictures, as always! They're stunning. Sounds like a lovely book! Who doesn't love macarons? That sounds so lovely! And those macaroons... Oh my gosh! I haven't been brave enough to attempt marcarons - but perhaps an entire cookbook about them would be just the push I need! Thanks for such wonderful photos & recipes! Macaroons are so delicate and delicious. I am a bit intimidated by the process of making them. But they taste heavenly. The workshops sound like a great idea. I need to look into attending one. These macarons look so good! Thanks for another great recipe. What a beautiful idea and perfect for so many events macaroons are. Perfect timing! My sister rang last night for a recipe for lemon curd, as she's just been given a lot of lemons, and mentioned she'd discovered macarons. I've sent her the link to this post. Meyer lemons are wonderful. I made meyer lemon ice cream a few years ago that was so intensely lemony it was amazing. I love macarons. I've been nervous to try making them on my own. A book would help with the inspiration. Ooh lemons - one of my absolute favorite flavors. I can remember eating them straight off my grandpa's tree when I was growing up. And of course I'd love to learn to make macarons. Love your photos. I think you have some of the best food photos on the web! Those lemon cremes sound delicious! I love meyer lemons, and your photography is beautiful! I love your website and it is on my daily read list :) These look lovely and I am sure the book would be a fabulous addition to my collection! I have attempted macarons a couple times, and been semi-successful. Sounds like this book could be just what I need! oooh would be lovely to win! Macaron cookbook? Sign me up! I am praying for more time in the day to allow me to make these wonderful lemony delights. I want to stay at home full time and bake to my hearts content. Thanks so much for this wonderful recipe - next leave break from work I plan to try these. I just love macarons. I only recently discovered them, but I was in love at first bite! You really like macaroons, don't you? These lemon desserts look fabulous. Oh! I love those macarons they look amazing! Would absolutely love this cookbook...I've been dying to try macarons! Sounds fun! I've always heard how yummy macarons are but I've never tried them. I would love to win that book! I just made Meyer Lemon Macarons last weekend. I really enjoying following what you are up to and insights into Charleston! Keep it up - can't wait to see what's next. My new years resolution was to learn how to make macaroons!! I would love this!!!! Thank you for sharing!! YUM! These look great. I have actually never tried a meyer lemon, but have been meaning to. 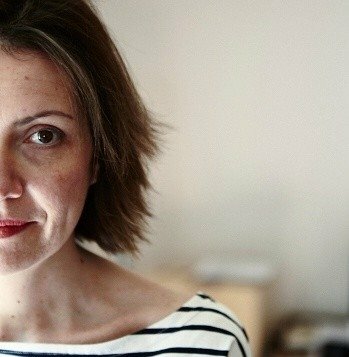 I am seriously addicted to your blog, I love both your recipes and your photographs. Thanks for sharing! Yay giveaway! I'd love to try making macarons, but I'm positive there's no way they'd look as lovely as yours. This post is having me nearly thirst for summer. Sweet breeze of a food display! I love lemon cream. Will definitely give it a try. Can't wait to try the cream! I must say that this book could help me a lot! I tried making macarons once, but i dont know if i over mixed, or did the oposite. The problem could be with the stove as my mom pointed out, but I doubt that. Anyways, Love your blog and your recipes but most of all I love your photography!! So thanks for that oportunity! I love lemons too,I'm sure this macarons are delicious! I'll be making lemon macarons on Monday! I'm so excited to try this! I've never made macarons before, but my husband loves lemon and I think this would make a great first try! Those macarons would be so perfectly light and sweet for the spring. Beautiful! Love your macaron adventures!!! Meyer lemon would be fabulous!! Since they don't carry meyer lemons in my local grocery store and yet I live in a fairly large town/urban area, what would be a good place to find them? I'm so eager to try all these meyer lemon recipes I've been seeing. These look delicious and you've inspired me to finally get some meyer lemons! <3 <3 <3 Lemons! I have to get my hands on some of these pink lemons! Oh, I think this is your greatest giveaway yet! I'm a budding photographer myself, and I LOVE food, so your blog is a wonderful combination of both. And a book on macarons? Who wouldn't want that? wow! i didn't know that a "pink lemon" actually existed! i googled it right after i read your post lol. it's really neat when you learn about strange new ingredients to use in cooking and baking. thanks for sharing! What a great recipe! I love your pictures! Oh these look so good...meyer lemons are my absolute favorite!! I am going to try to make my first macarons next week! I found your blog via a friend and you have amazing photos! Your recipes are quite intriguing to me. Tried to make macarons last week, took 3 tries to get the texture correct but still trying to perfect the size of each macarons. absolutely need to try some of your recipes. well, this is just so handy, as i've got a meyer lemon tree that is dripping with lemons right now! thanks! I like how the mac shells get flavored too, rather than just gaudily-colored. Oh macarons, sigh! I really want to make them at home, but I am scared it's too difficult. Thanks for sharing this recipe; I will give it a try :). i'm dying to try to make macarons. I love macaroons and I love lemon... so this looks like a great combination. Thanks for sharing the recipe with us. I had never heard of lemon macarons, but these sound delightful! If only I had the skills to attempt these at home. Oh, lovely desserts! I love lemon, but have never tried, or seen, Meyer lemons. I'd love to win the book - macarons are such fun to make. I am actually salivating over those creams. as always your photography is pure inspiration. I wish I could go to food blog forum and hear you speak. Can't wait to read your book. You always inspire me to try and make new beautiful food with your divine photographs!! 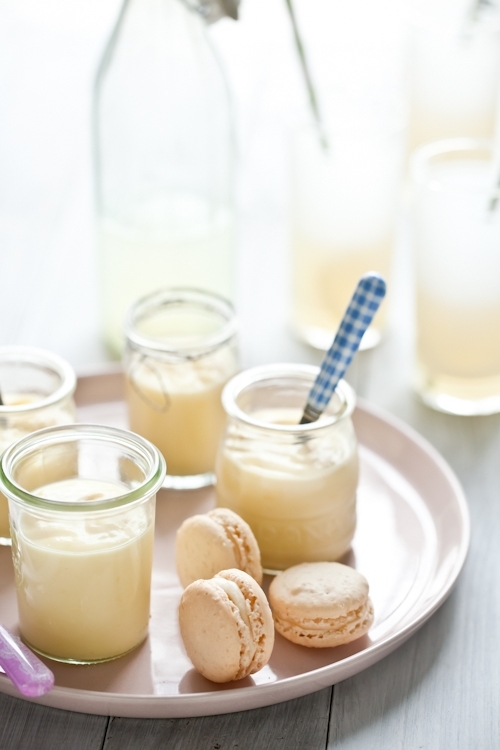 I am soooo going to make these lovely meyer lemon macarons!!! Well there are only a few people in the world with your wonderful skil at writing and photography so I would love to follow such a workshop!! The book sounds great too! I must make them for hubby he loves lemon too, they look delicious. The photo are very very beautiful, and the macarons seems delicious! I imagine lemon would mark just the right balance in these macarons! I'm dying to try them. I have never had Meyer lemons. I will go seek some out. As always... Your photos look beautiful = ) You make simple looking lemons look awesome ! Ohh! !...what a wonderful giveaway! !....I cross my fingers!! !......I have never try to make macarons but it is an excelent idea!! Lovely recipe. I'd love to get that book, too. Ooo..I am so glad I visited your blog today and there is a lovely giveaway!Still trying to master the macaron. beautifiul post & photography fabulous! i have taken 3 workshops in macaron baking & hopefully i will have success @ home. since i love lemon, your meter lemon macarons look fantastic! please come to nyc & give workshops!!!please! Awsome photos,and receipes as well. 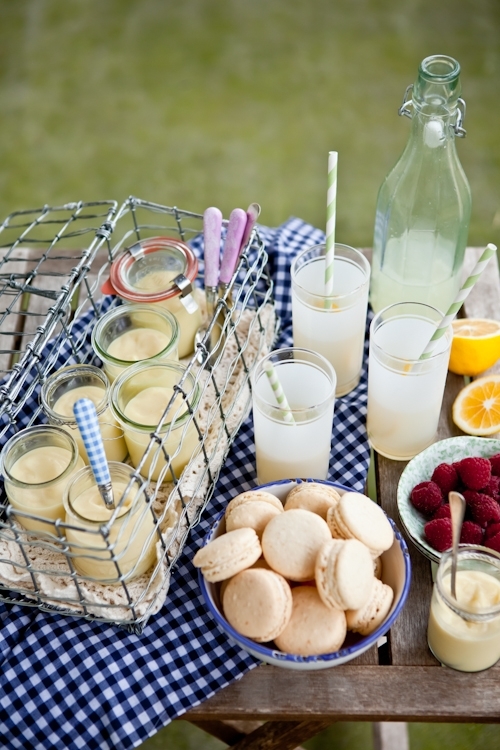 The photos are as beautiful as always, and I love the pop of yellow from the meyer lemons. I make a smoothie every morning that includes a whole meyer lemon. I love them! I've never been game to make my own macarons, but I think you've finally inspired me! I never really thought of them as such, but they are a great GF treat that you'd have to be crazy not to enjoy eating! The gingerbread ones you mention sound right up my alley. Amazing blog. I look forward to your photography and recipes. Every photo makes me want to reach out and touch the food. Simply elegant. The best of both worlds ... lemons and almonds. I'm off to the store for ingreds now! I love Meyer Lemons and Macarons so Meyer Lemon Macarons would be fantastic! I love, love lemons - I just took your adapted version of lemon pound cake out of the oven and my mouth is watering. Now I can't wait to try the creams and the macarons! Enjoy the rest of your week-end! What a refreshing post! 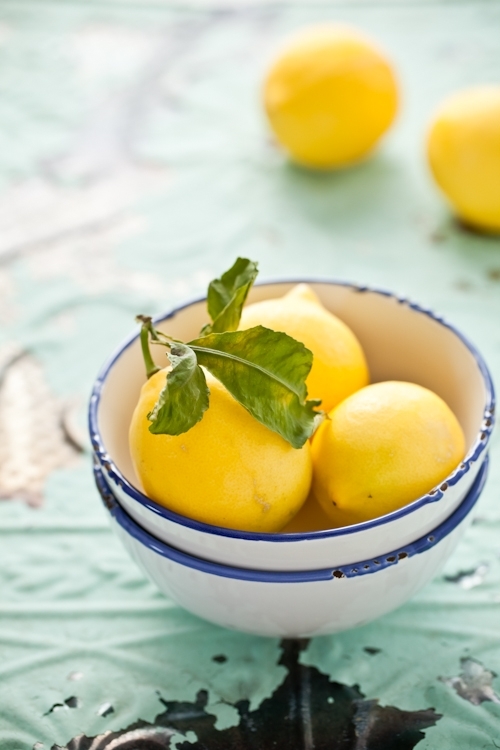 I simply love the twist, flavor and zing that lemons give to any dish, particularly desserts! I look forward to giving these recipes a go! Thank you! I love baking and I totally adore your blog! These look just perfect. Macarons have usually defeated me, but thanks to these and your Carrot Cake macaron recipe, I'm getting my courage up to try again. Thank you for all your great recipes and photos! Oh, these sound wonderful! I absolutely love lemon desserts. I am intimidated by macarons. I have wanted to try my hand at making them so often, but can't get my courage up. Winning the book would sure boost my confidence to try. Macarons have to be the most photogenic cookie of all time! Beautiful, wish I could make them as lovely as you do! Love this recipe! I´m "studying" macarons...not easy at all but worth trying and re-trying. Thank you! Glad you got some time to relax! Sounds like a great retreat. And mmm Meyer Lemons. In cream form!! And macarons!! I think I've found my sunshine for this dreary week I have coming up. The lemon crème looks delightful! And your photos are gorgeous!